A member of the House of Representatives, Boma Goodhead on Tuesday dared operatives of the Department of State Services (DSS) to shoot her and others blocked from entering the National Assembly. The lawmaker represents Asalga/Akulga federal constituency of Rivers State. DAILY POST had report the massive reinforcement at the entry, exit and within the premises. 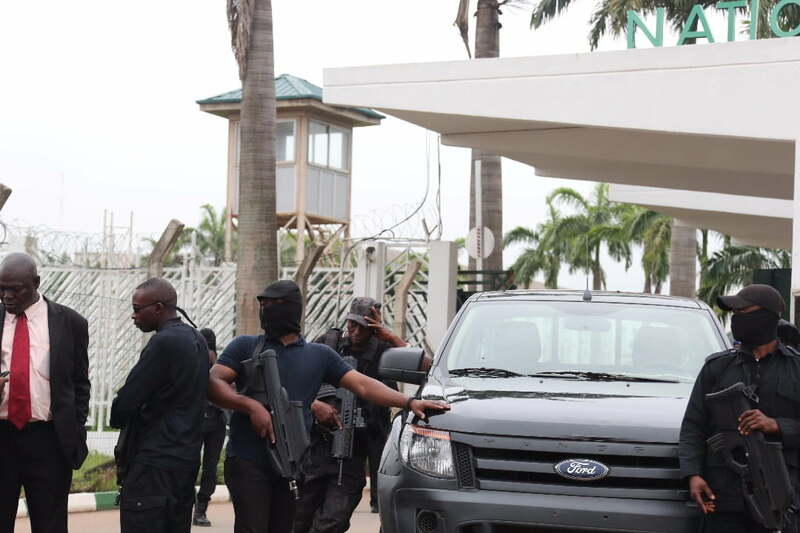 The siege at the complex is alleged to be part of the plot to effect a change of the Senate leadership. Infuriated that people were stopped from gaining access into the premises, Goodhead charged towards the DSS agents. “Start shooting, shoot this gun”, she said pointing to operatives’ rifles. “How many people can you shoot down here, how many?” she screamed. However, the operatives kept their cool and said no word. At a point in the video, a voice was heard appealing to Boma to calm down. Meanwhile, lawmakers have forced their way into the complex.